I can’t imagine what it would be like to be young and to have access to streaming services. My listening habits were shaped by scarcity and compounded by distance. Neneh Cherry is a case in point. When Raw Like Sushi came out, the music magazines I devoured plastered Cherry all over their covers. She was a thing, and she had a hit. But you wouldn’t know it listening to radio stations in Honolulu. The cool kids in high school never heard of her. I wanted to find out why all my magazines devoting so many column inches to her, but I didn’t have the resources to find out. Sure, I could have just bought her album sight unseen, but my parents weren’t helicopters, and my allowance had to stretch. I had to be strategic about these kinds of impulse purchases, and Neneh Cherry didn’t cross the curiosity threshold far enough. A quarter of a century later — and with a disposable income on the multitudes larger than my parents’ allowance — I came across a vinyl copy of Raw Like Sushi for $3. That was a price point my curiosity could easily manage. I don’t think I would have appreciated Raw Like Sushi as a youngster. I had already developed a chip on my shoulder about “commercial music”, and Cherry’s sophistication would have been lost one me. But would my relationship with Cherry’s debut have been different if I had easier access to it? Would the chip on said shoulder gotten heavier or lighter? The equivalent to streaming services back then were friends with duplicating cassette tape decks. I was lucky enough to live in a city with a few branches of Tower Records. A good 2,000 miles of ocean separated me from the Mainland, and that slowed the propagation of pop culture by half a year. 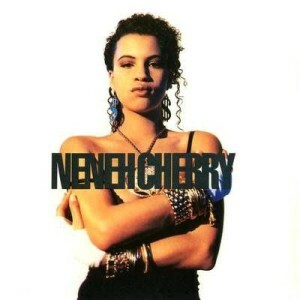 So in a way, it’s a miracle I heard of Neneh Cherry at all. The Internet, of course, bridges these gaps. Rather, it provides the infrastructure for curious listeners to find the bridges to traverse those gaps. And with the plethora of choice comes the paralysis of choice. I’m under the impression younger listeners don’t have the attachment to music that I have. They don’t want the burden of ownership — shelves, media, playback systems. At times, I wouldn’t mind relinquishing those responsibilities myself. But coming from an era of scarcity, it’s tough not to want to possess when curiosity, expectations and reality meet. Raw Like Sushi ended up being as interesting — and fun — as I was led to believe. Why would I want to rent that relationship?